After the Doldrums comes the week of Dropping Things. This can sometimes manifest as leaving for a trip and forgetting your suitcase, or neglecting to remember where you live and driving around the block a few extra times until you recognize your house, or putting the cat in a cupboard and wondering later where that strange noise is coming from. It’s the week when your brain is easily distracted by squirrels and butterflies and meteor showers, which can result in random loss of motor control in your grippers. This is not the week to be shifting the anvil from the back porch out to the shed, if you know what we mean. We know that you’re just in denial that school is starting again in less than a month. It’s okay; we are, too. We should cram a couple more books in before it’s back to the textbooks, shouldn’t we? In fact, we’re having Campfire Bookclub this week (Thursday night, in fact). You should join us for one last unforgettable evening of tall tales, outright fibs, and a meandering modicum of actual discussion about the bookclub pick. In the meantime, though, let’s take a look at this week's stack of interesting books. Planning on one final trip this summer? 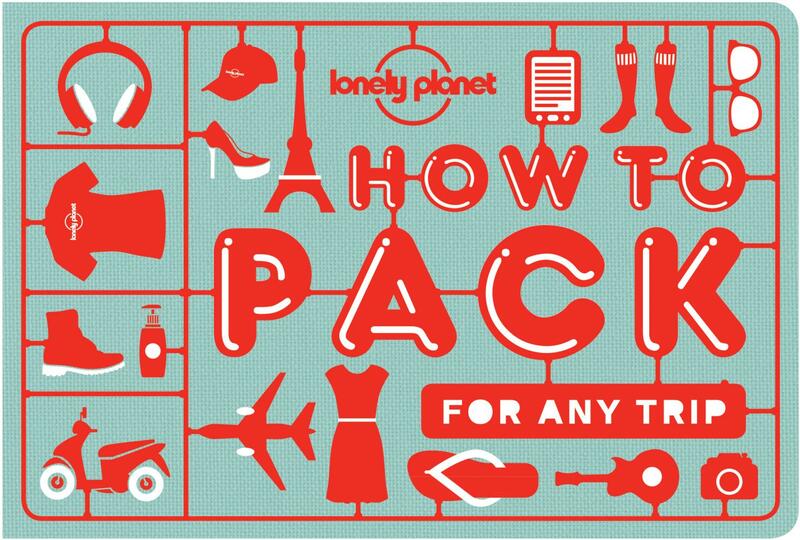 Check out Lonely Planet’s How to Pack for Any Trip. Comprehensive packing tips! Battle-tested packing methodologies! Kit ideas for all manner of trips, whether they are day-trips to the halfway point on your gas gauge or deep into the uncharted wilderness just over the ridge. Luggage advice! And lots of color-coded illustrations. Faber and Faber have released a series of delightfully designed hardbacks in a Nature Poets series. Coleridge! Wordsworth! Thomas! (Edward, not Dylan) Hardy! Keats! Clare! 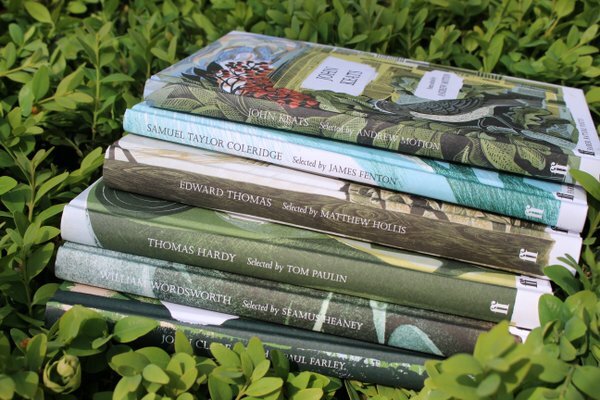 Celebrating the natural world, this series collects some of the finest poetry about the natural world in tidy sized hardbacks with art printed directly on the boards. Groovy endpapers, too. And lots of earnest wordsmithing in regards to the trees, the birds, the bugs, and the movement of the clouds across the firmament. And even more fanciful are a quartet of elemental books from Applewood books. 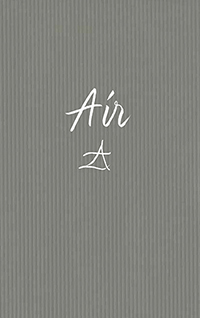 Air. Earth. Fire. Water. Each celebrates one of the quintessential four aspects of the natural world with an essay and a bounty of pertinent quotations gathered from writers, philosophers, and dreamers. 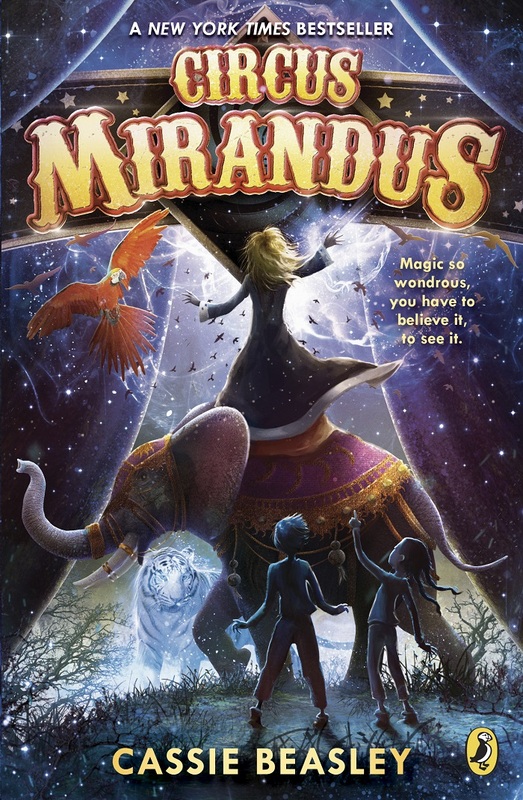 And speaking of dreamers, Cassie Beasley’s Circus Mirandus is out in paperback. A beguiling tale of a magical circus and the mysterious illusionist who owes the young protagonist’s grandfather a favor. What kind of favor? A miracle. There’s a lot you can do with a miracle, but is it a real miracle or an illusion? That’s the where the fun begins. And speaking of fun, let’s talk about Rube Goldberg for a minute. We know that if it’s too early to talk about the kids going back to school, then it is definitely way too early to be talking about 2017. 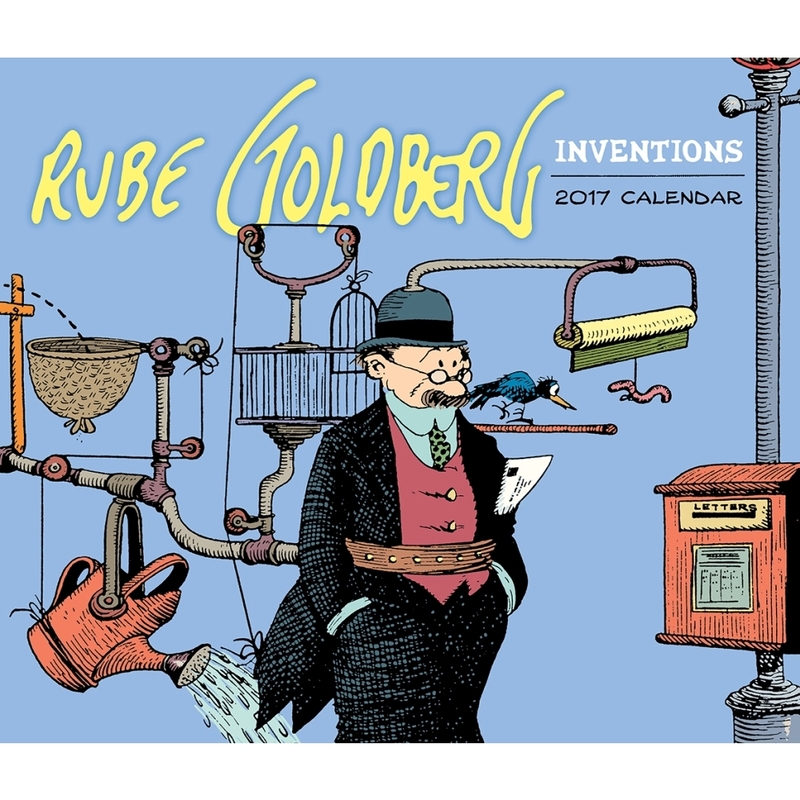 But Abrams has just put out a 2017 calendar of Rube Goldberg machines. Goldberg’s genius for illustrating “simple” methods of doing the most banal activities are on display here, and we can’t wait for July, for instance, when we get to learn how to create a self-operating awning. All we need is a whale, a professional orator, and a candle. 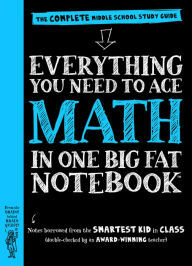 On a more practical front, we’ve got the Complete Middle School Study Guide series. American History! World History! Science! Math! English Language Arts! Each volume is culled from notes written by the smartest kid in class (and vetted by an award-winning teacher; of course, which award isn’t mentioned, but that’s probably not terribly important, right?). The Math volume talks about how to use the number line, which we know is part of that weird “new math” which is frustrating parents, but trust us, the number line is more clever than you think. 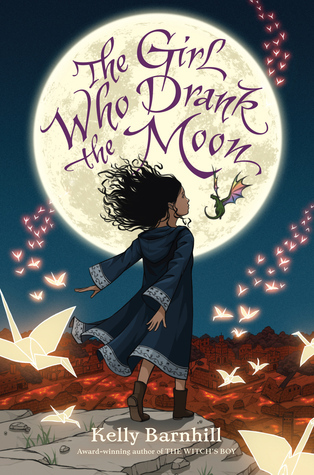 And finally, we have Kelly Barnhill’s The Girl Who Drank the Moon, which is a modern fable about a witch named Xan, who accidentally gives a baby moonlight instead of starlight, and the child, Luna, grows up to be magical and dangerous. Factor in a Perfectly Tiny Dragon, a swamp monster, a not-so dormant volcano, and a mysterious woman with a tiger’s heart and, well, you’ve got something truly magical. COLBY: Who wrote A Modest Proposal? COLBY: And The Unbearable Lightness of Being Earnest? BOB: Uh, something grown in a mad scientist’s laboratory? COLBY: Incorrect! It was Victor Von Doom’s! BOB: What are you doing, marmot? COLBY: I’m working on a literature quiz. The Strand does one. I figure we should, too. BOB: Okay, I get the first two, but that last one? There’s no right answer. COLBY: Yes, there is. Victor Von Doom. BOB: The arch-nemesis of the Fantastic Four? BOB: He never struck me as being much of a geneticist. COLBY: No, he grows creatures in vats. BOB: Yes, but how does he manage to get a child of Milan Kundera and Oscar Wilde if not by manipulating extant DNA samples? COLBY: It’s a mashup. You can’t look at a mashup too closely or it all falls about. BOB: I could say the same thing about this quiz of yours. COLBY: Maybe The Unbearable Lightness of Being Earnest is a self-help book. BOB: I think it’s just your daily mantra. BOB: That would make me pretty miserable. BOB: Because, well, you parse it, marmot. It was your idea. COLBY: I’m not good at math. BOB: It’s not math; it’s just . . .
COLBY: Your beard is bristling. I win. BOB: What? What do you win? COLBY: I annoyed you first. BOB: Is that a contest now? BOB: You are a pesky rodent sometimes, marmot.